New to campus? Looking to find and build community with other LGBTQ and similarly-identified students? Want to know more about the Spectrum Center and how we can make your college experience even better? Check out FreshSpectives! FreshSpectives is a social group for LGBTQ and similarly-identified first-year and transfer students. The purpose of this group is dependent upon the needs and preferences of the cohort, and this may vary from year to year. Goals have included: building community on campus, exploring identities, connecting with resources on campus, or participating in social activities. 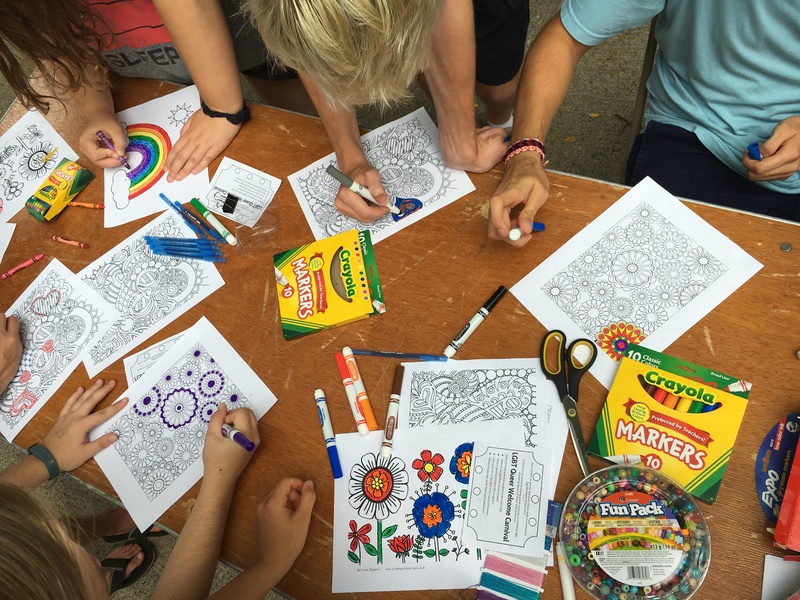 Because it's a group supported by the Spectrum Center, we provide assistance in planning social outings, game nights, and working with the cohort to think up lots of ways to build your community on campus and get to know Ann Arbor. Interested in joining? Please fill out this form! Questions? Email us at spectrumcenter@umich.edu or stop by the Center on the third floor of the Trotter Multicultural Center!